Making Paleo Mayo was a little tricky for me at first. I was dying to make tuna salad with my home made mayo but ended up waisting a whole cup of good quality Olive Oil in the process. But you don’t have to go through that because I can tell you exactly what to do to make this yummy condiment Paleo style! Just follow along! 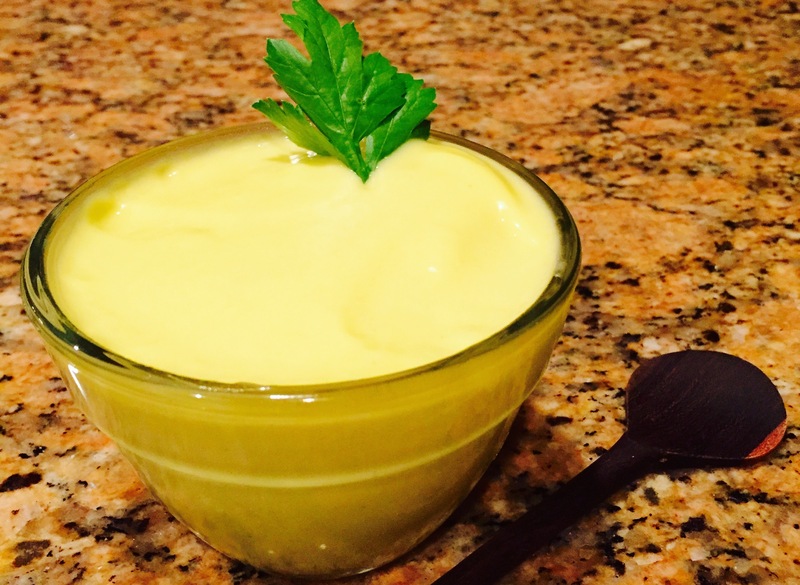 Paleo Mayo can be used in so many different recipes! My favorite is tuna salad, which I will posting in the near future. You can also use it in my Paleo Pig Burger recipe! So yummy! In the bowl of a standard mixer add egg yolks, lemon juice, mustard, and salt. Using the whisk attachment whisk ingredients on medium-high speed. With a very slow and steady stream add the olive oil so it can be well incorporated with the other ingredients without separating. This is a very important step! Serve or store it in the fridge for up to 2 weeks! What is a Delicate Belly? The Delicate Belly is Published!